When hitting the iron, many folks consider only the movement or exercises they&apos;re doing, with no regard to the speed of contraction, eccentric portion of the movement, or time under tension. Concentric muscle action occurs when the muscle contracts (shortens), such as when you raise the bar during a biceps curl. Isometric muscle action is when a muscle is activated and develops force, but no movement at the joint occurs. Think about if you were to try to push over a building; you are generated force, although there is not joint movement because it is obviously impossible. Eccentric muscle action (A.K.A. negative resistance training) occurs when the muscle lengthens in a controlled manner. Muscles can only shorten or lengthen in a controlled manner. Very simply, gravity is trying to pull the weight back to where it started and the muscles must lengthen so the weight does not fall abruptly can potentially injure you. What Is Eccentric Muscle Action? Eccentric Muscle Action = Negative Resistance Training. Click here for negative resistence training articles. Out of these three phases, the muscle can produce the most force during the eccentric phase, followed by isometric, and finally concentric. Therefore, to neglect the eccentric phase of lifting makes as much sense living off fast food if you want to get ripped. The only instance where negativity will help you on the road to achieving your physique goals - ECCENTRIC TRAINING! Here&apos;s how it works: Micro-trauma occurs during the lengthening of the muscle while it is contracting to maintain control. This cellular damage, in turn, stimulates the release of local growth factors and revs up the anabolic machinery to build muscle. In fact, a muscle is approximately 40% stronger during the lowering of a weight as compared to lifting it. This observation led to the use of heavy negatives, sometimes relying entirely on spotters to lift the weight while the trainee was responsible for solely the lowering. The alleged superiority of pure negatives remains largely theoretical; however, to reap the benefits of negatives without relying on spotters and supramaximal weights, simply control the eccentric component of the lift. I am currently training with a split routine where I&apos;m doing one body part per day. This morning happened to be chest day and there was a man next to me who actually believed his chest was a spring board; if he lowered the weight any faster and bounced it off his chest any harder, I thought he was going to crack some ribs. The best part was that he had very little weight on there, so it wasn&apos;t like he needed to make his chest into a trampoline. This may be familiar for many of you (and sorry if the person who was next to me is reading this). The moral of the story: control the weight and don&apos;t make your chest into a trampoline. How To Do Negative Training Without A Training Partner. 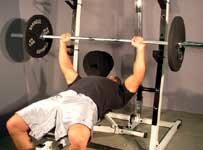 Negatives are among the most powerful training techniques for rapid strength gains. Learn how to do them effectively without a training partner. Let&apos;s take a look at a very recent study on this very topic before delving into some specific techniques to help take your growth to the next level. Effect Of Eccentric Strength Testing On Delayed-Onset Muscle Pain. The purpose of this study was to examine the effect of eccentric strength testing on delayed-onset muscle pain. 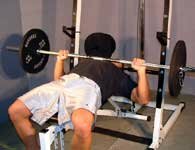 You are all familiar with the soreness 24-72 hours (and up to 10 days in the research literature) post-workout; well if you&apos;ve ever done negatives, you surely are familiar with this and will soon find out after adopting some of the techniques below. The researchers hypothesized that eccentric strength testing alone would produce delayed-onset muscle pain and that prior eccentric training would protect against this pain. Twenty college age students participated in this study with a mean age of 19 years. These students were novice trainees, meaning they had not participated in resistance training programs for at least 6 months. Have You Tried Training Negatives? Six to 10 submaximal repetitions were initially completed to familiarize the trainees with the protocol. Initially, eccentric strength testing (5 rep max) was performed on each arm. Next, 1 arm completed 3 sets of 10 eccentric reps to induce delayed-onset muscle pain. In the next session, the arm that only did the initial 5 reps then added the 3 sets of 10 eccentric reps. This technique is used to ensure there is nothing unique about one arm or the other (maybe an injury or other factor that could positively or negatively influence results). The exercise utilized was a biceps curl type movement with the muscles used being referred to as the elbow flexors, since that&apos;s a primary function. A particular pain scale was used to determine pain in the elbow flexors. What is interesting is that the researchers found that the delayed-onset muscle soreness was less in the arm that completed 2 strength tests vs. those that did just one strength test. So in a way, the additional sets were somewhat protective against future pain. Keep in mind, though, that even those who did just the 1 set were sore, meaning eccentric contractions can alone cause muscle damage thereby effecting future workouts. Also, the fact that more eccentric sets were protective shouldn&apos;t give you the green light to solely rely on these; you will quickly head down "overtraining boulevard" very quickly! Training Negatives Can Be Positive! When we&apos;re talking about gym training, the negative phase of a range of motion can be very positive. Learn the terms, the benefits, and the proper way to execute negatives right now! If you&apos;re not using negatives in your training, start. Muscles produce the most force during the eccentric portion of the movement (meaning the negative). You can lower (think on the way down in the bench press) much more weight than you can lift. Here&apos;s a great example and great tip to try. If you&apos;re lifting on a machine (such as the leg curl), lift up with both legs, but return to starting position with only one leg (the same can be done on any machine). Remember, you are much stronger in this phase of the movement. Get a spotter to truly try your "negative" strength. Don&apos;t overuse negatives or else you&apos;ll quickly over train. Make sure you&apos;re eating enough calories and protein to help recover. If you&apos;re like the masses, your chest has an indentation from bouncing the bar. You have to "Think Negative" to Grow Positive. It&apos;s a new stimulus for the body, which in and of itself, is important. 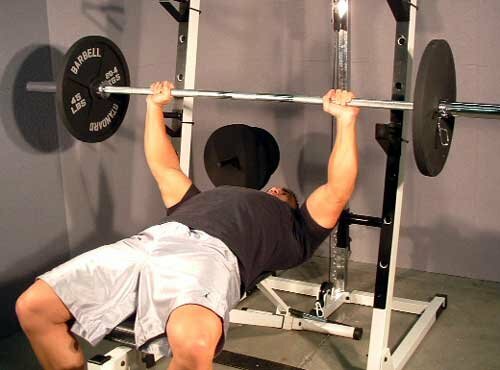 A Primer On Eccentric Repetitions (a.k.a. Negatives)! Negatives are frequently touted as by far the most effective approach to muscle growth after having worked up to your 5RM with positives.